I've really regressed in my swimming. At my last race, I realized I could have broken the 3 hour mark for Olympic distance if my swimming was better. I started beating myself up about it when I realized the only reason I have been swimming poorly is because I work on it the least! I never swam competitively and only learned proper freestyle technique a few years ago. How can I expect to go faster overnight? I can't. I have resolved to focus on swimming more. How? GET IN THE POOL MORE!!! To help you all get better too, I'm posting a database of swim workouts. Here is a comprehensive list of swimming workouts for everyone. I'm also curious to see what your favorite swim workouts are so please share! I will be archiving this under the "Tri Training Soapbox" link in the sidebar and updating it once in awhile so please check back! The idea is to compile this to motivate us to get to the pool. Pull one up, print it off, and take it with you! Generally, the format is very standard. 1. Warm-up--usually encompasses some drill and technique work. 3. Cool down--easy to forget but important to include! (These were categorized as "Beginner" workouts. Adjust up or down (more/less sets, rest time, intensity, speed, etc) as needed. Note: Make sure you start out at a comfortable pace and then increase the effort until you reach the “top”. The longest distance in the set should also be the hardest effort. Then as you come “down”, ease up on the effort. A good way of doing this is keep your speed and rest constant through the entire set. Remember to start out slow and use the clock! 200 yards – 4 x 50 (25 yards kick, 25 yards swim) @ 5 sec rest. IM order (Fly-back-breast-free). 4 x 50 in IM order @ 5 sec rest. 300 yards – w/pull buoy. Breathing pattern of 3,5,7 by 100’s. 300 yard – 6 x 50 yards (hard w/30 sec rest). Evens are the reverse – over 25 followed by under 25. 900 yards – 9 x 100 yard freestyle in groups of 3. 3,5,7 breathing pattern by 100’s. 200 yards – freestyle warm up. 300 yards –6 x 50 yards as 25 kick, 25 stroke/drill. The evens are your choice of stroke other than freestyle. 600 yards – 3 x 200 yards. #1 and #3 are freestyle. #2 is anything, but freestyle. Do these on 5-10 seconds rest. Select an interval that you can make for all 5, but barely make because you need to make these fast. 300 yards –pull buoy. 3,5,7 breathing pattern by 100’s. 150 yards – freestyle warm down. 300 yards – freestyle warm up. 200 yards –4 x 50 yards. Kick for 25 yards on your left side and 25 yards on your right side. Interval is 1:00. 1,000 yards – 200 yards freestyle, 3 x 100 yards. Repeat this for a total of 2 times through. Do the 100’s as 75 freestyle swim, 25 IM stroke. Thus, the 1st 100 ends with butterfly, the 2nd 100 ends with backstroke, the 3rd 100 ends with breaststroke. 300 yards –pull buoy and paddles. Breathing pattern of 3,5,7 by 100’s. 200 yards - 2 x 100 yards kick. Do these as 25 butterfly kick, 25 backstroke kick, 25 butterfly kick, 25 freestyle kick. Interval is 5 seconds rest. 300 yards - Do this as 100 freestyle, 100 IM, 100 freestyle. 400 yards - 4 x 100 yards. Do these in IM order. The first 100 will be 25 freestyle, 25 butterfly, 25 freestyle, 25 butterfly. The second 100 will plug in backstroke. the third 100 will plug in breaststroke. the final 100 will be all freestyle. Do these on 5 seconds rest. 300 yards - 3 x 100 freestyle. Do these on a fast interval providing 5 seconds of rest or less. 300 yards - put on pull buoy and paddles. 3,5,7 breathing pattern by 100's. 200 yards - freestyle warm down. 300 yards - freestyle warmup. 300 yards - 4 x 75 yards. The odds are 25 kick on left side, 25 kick on right side, 25 swim. 600 yards - 12 x 50 yards freestyle in groups of 3. 1st set easy, 2nd set harder, 3rd set hard (TIP--tightest interval possible). 400 yards - put on pull buoy. 4 x 100 yards. Use a breathing pattern of 3 for the odds and 5 for the evens. Do these on an interval of 5 seconds rest. 200 yards - put on fins. 8 x 25 butterfly. The odds are drill. The evens are fast. 200 yards - 4 x 50 yards freestyle descending (swim these as form, firm, fast and very fast). ONE MINUTE REST after 50M kick. TWO MINUTES REST after 50M easy. Do them at your own pace!! Rest 20 seconds between each 100. Last 100 at 80% effort. Why don't you let us help you manage your swim workouts function? Anyway, let me know. I visit your site often and have referred a few Dynoswimmers that are new to triathlon to your blog. 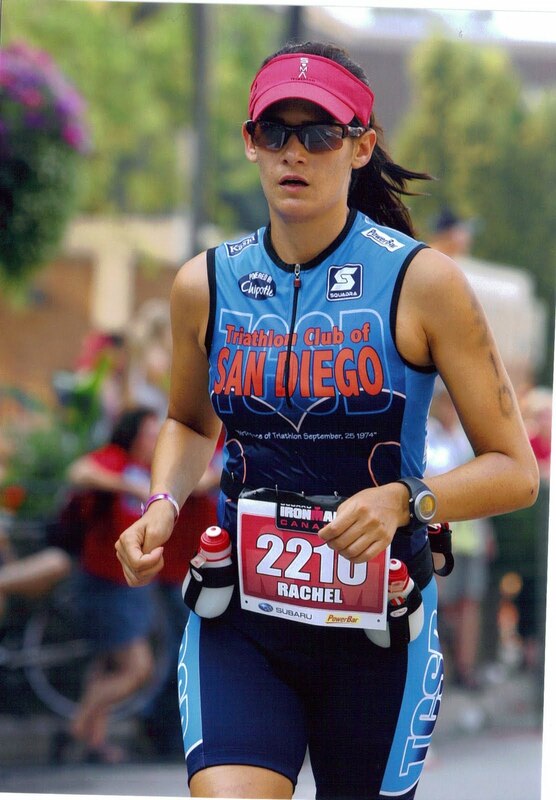 I am brand new to triathlons and found your blog while looking for swim workouts. Because I'm still so new, I don't understand some of the jargon. Can you please break it down for me? What is IM? When you say "stroke", do you mean "pull"? Who's In for the Soma Half? Take a look at my Swim Workouts!